This article first appeared in the Morning Star on 19 July 2017. 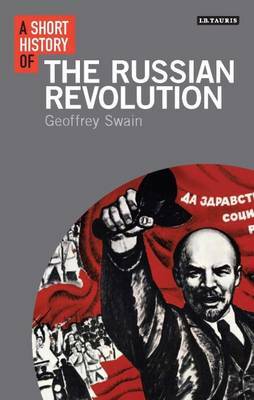 In this compact book of just over 200 pages, Geoffrey Swain does a surprisingly good job of presenting a historical overview of the October Revolution – the defining event of the 20th century, the centenary of which we celebrate this year. The writing is necessarily dense, but not to the point of impenetrability, and most readers will find something of value here, although many Morning Star readers will undoubtedly find some things to disagree with. Swain offers two key ideas that are relatively controversial in terms of mainstream October historiography. The first is that October was not, as has so often been claimed, a Bolshevik coup, but rather “a popular revolution against a discredited Provisional Government which restored the revolution to the path it had been on when the Tsar was overthrown in February ”. This assessment, for which Swain gives ample and compelling evidence, flies in the face of what has become received opinion among western academics. The Russian Revolution was rolled back in 1991, and its history has written predominantly by the victors, who have portrayed it as an anti-democratic power-grab leading inexorably to dictatorship, decay and demise. They have been ably assisted in this counterfactual view by Mikhail Gorbachev who, having presided over the tragic collapse of the USSR and paved the way for a decade of unprecedented poverty and social catastrophe in Russia, came to believe that the February Revolution should have been allowed to “continue its course”. Swain does a commendable job of describing the revolutionary traditions of the Russian working class, pointing out that the Provisional Government failed precisely because it sought to put the brakes on a popular revolutionary process. Ultimately it was only the Bolsheviks – and, for a while, the Left Socialist Revolutionaries (representatives of the radical peasantry) – who were willing to ride the wave of mass discontent and struggle seriously for “peace, land and bread”. Swain’s second key idea, that the revolution turned from a broadly popular “democratic dictatorship of the proletariat and poor peasantry” into a Bolshevik autocracy due to the collapse of the coalition with the left SRs, is less convincing and, in the present writer’s view, not substantiated by events. One of the key promises of the revolution had been to pull Russia out of World War I – it’s not an accident that peace appears in the slogan even before land and bread. Although they claimed to want to end the war, the left SRs would not accept the terms of Brest-Litovsk treaty – a situation that puts one in mind of Theresa May’s bizarre “no deal is better than a bad deal”. The left SRs therefore aimed to undermine the peace and continue fighting the war, which is precisely why they lost the confidence of the masses and won the confidence of the deposed ruling classes. Their removal from government had nothing to do with Lenin’s supposed aversion to power-sharing. Criticisms notwithstanding, A Short History of the Russian Revolution is a useful book, which should be read in conjunction with John Reed’s classic Ten Days that Shook the World and Lenin’s writings from the time (in particular the April Theses, Letters from Afar, The Tasks of the Proletariat in Our Revolution and The Immediate Tasks of the Soviet Government).